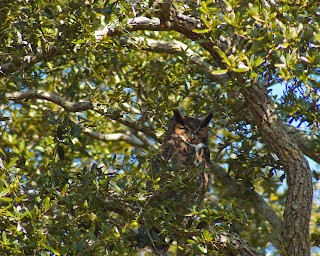 This male great horned owl was diligently watching over the nest containing the female and their recently hatched chicks. 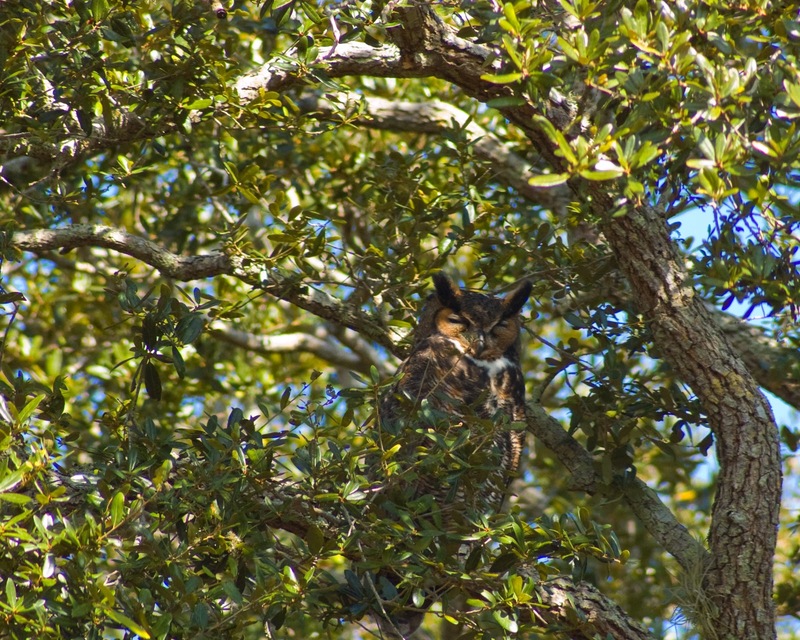 He was high in an oak tree and difficult to spot due to the mottled lighting and his coloration and pattern. He was also taking a nap. He would open his eyes occasionally and then return to his sleep. I took this photo at Ft Matanzas National Monument.